If you have been injured in an accident that wasn’t your fault, call Legal Expert now, to see if you could claim compensation. If you have suffered from a broken rib, broken ribs, cracked ribs, badly bruised ribs or fractured ribs in an accident that happened due to someone else’s negligence, then there is a chance that you could make a compensation claim. Our advisors are waiting to speak to you and discuss how much compensation you could get (for examples claiming for bruised ribs or to find out a broken ribs compensation estimate), or how much you could get in a settlement for fractured ribs. If you can prove that the accident was avoidable and occurred, or was made more likely due to someone else’s negligence, then you may be owed thousands of pounds in compensation for your broken rib injury. Call Legal Expert today to see if you can make a legitimate broken rib accident claim, or bruised rib injury claim. In this case study, we are going to look at the case of Miss K, as we will call her for privacy reasons, who was awarded £6,600 for a rib injury. Miss K was 23 at the time the accident occurred and 25 when she was awarded a payout for the claim. The accident occurred when Miss K was in her car, driving to the airport to go on holiday to Spain. She was involved in a rear end shunt. Immediately after the accident, she was left with pain in her neck, which had also travelled to her right shoulder by the time she got to the airport. The airline hosts and hostesses were reluctant to let Miss K onto the plane as her condition seemed so bad. She was in discomfort on the flight, and by the time she arrived at her destination the pain had increased in severity. Rather than getting to enjoy the holiday she had been planning, Miss K was admitted to hospital in Spain, then spent most of her holiday lying in bed, with a neck brace on. What Injuries Were Sustained By The claimant? When Miss K returned home, she saw her doctor and was immediately signed off work for 2 weeks. she was also prescribed painkillers. By this point, she had also developed severe rib, shoulder and neck pain. When she returned to work, Miss K found that her rib injury, as well as her neck and shoulder pain, made it difficult to sit at her desk and carry out her duties as a Business Banking Manager. Her quality of life was also impacted because she was no longer able to drive and her rib injury left her unable to sleep on her side. Miss K underwent an examination 11 months after her injury. The expert judged the injury to her rib as non-severe and said it would settle within 15 months. The expert also judged her neck and shoulder injuries to resolve themselves within 15-18 months. Fortunately, within 18 months Miss K recovered from all of her injury symptoms. What Did The Compensation Settlement Include? Miss K (The Claimant) made a compensation claim, which involved a damaged rib injury claim. The Defendant, the driver who injured Miss K in the rear end shunt, admitted liability and paid Miss K £6,600 in damages. These were general damages that were awarded in court. At Legal Expert, we understand that the decision to make a compensation claim for a broken, bruised, cracked or fractured rib is not one to be taken lightly. Broken ribs cause pain and suffering. They can also cause you to take time off work, for which you might have lost income. Therefore you may not want to take the financial risk of claiming compensation for a broken rib if it involves having to pay upfront solicitors fees. You can mitigate the financial risk of making a compensation claim, by choosing a no win no fee solicitor. This means that you will only pay, if your case is successful, removing the financial risk, and making the entire compensation claim process less stressful for you. Are you interested in making a no win no fee broken rib compensation claim? You could be owed thousands of pounds in compensation. Call Legal Expert today. We’ll advise you on whether or not you have a valid case, how much compensation you could claim and match you with an expert personal injury solicitor today. Have you been involved in a similar accident where you were left with broken ribs, bruised ribs, fractured ribs or other injuries? Was the accident caused by negligent behaviour? Perhaps you have suffered an injury at work, due to your employer failing to identify a hazard that put you at risk, and putting the appropriate control measures in place to mitigate that risk? Maybe you were injured in a public place like a shop or a restaurant or suffered a broken rib in a car accident that wasn’t your fault. As long as you can prove that the defendant acted negligently and have evidence of the injuries that you sustained, you may be able to claim for compensation. If your accident caused you to suffer from broken ribs, cracked ribs, or another rib injury, contact Legal Expert today, to find out how much compensation you could claim for bruised ribs. Our solicitors deal with settlements for fractured ribs, and can advise you on broken ribs compensation amounts that you could claim. We work with some of the UK’s best personal injury solicitors, some of which have over 30 years experience of helping claimants make bruised ribs injury claims. You could be owed thousands of pounds in compensation, so call Legal Expert on 0800 073 8804, to see if you have a legitimate claim and how much compensation you can potentially claim. 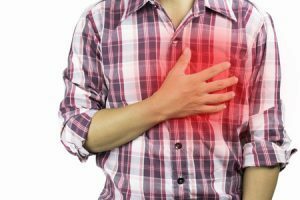 How Much Compensation Can I Claim For A Rib Injury? Help and advice for claimants involved in an accident which left them with a rib injury of some kind as well as advice for how to claim the compensation that you are owed.